Product prices and availability are accurate as of 2019-04-11 11:35:53 EDT and are subject to change. Any price and availability information displayed on http://www.amazon.com/ at the time of purchase will apply to the purchase of this product. Description: The Boeing C-17 Globemaster III is the newest, most flexible airlift aircraft to enter the United States and Western Air Forces. This aircraft is designed to fulfill airlift needs well into the next century - carrying large combat equipment and troops or humanitarian aid across international distances directly to small austere airfields anywhere in the world. The C-17 is also able to perform theater airlift and airdrop missions when required. 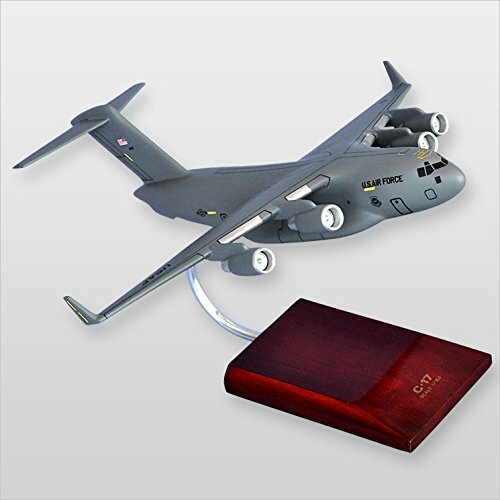 The C-17 takes its name from two previous heavy lifter aircraft, the C-74 Globemaster and the C-124 Globemaster II.